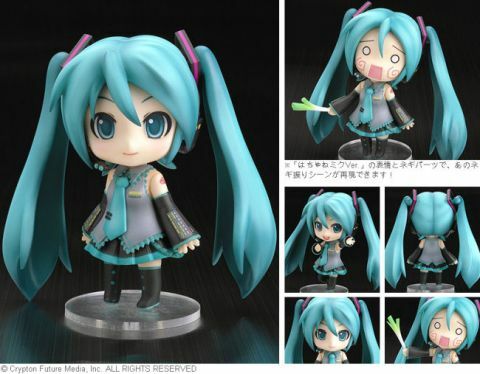 Ok, a big, big pet peeve of mine as both an anime figure collector and as an anime figure store owner has been the slew of cheap, fake and inferior Good Smile Company Nendoroid figures. As somebody who both collects and sells the real deal, just thought I'd give some examples of what to look out for. 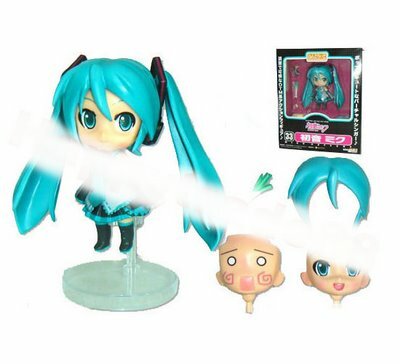 I will be using the most commonly bootlegged figure, Miku Hatsune, as my example. Here's an image I took from my stock of the back of the figure. Here is a list of ways to almost be certain a figure is a fake. Very cheap price. Explore the web and places like eBay with caution. 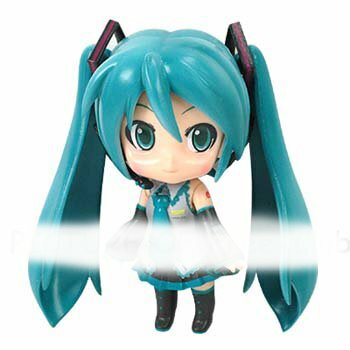 If you see a seller claiming to sell a Nendoroid at a Buy-Now price below $25USD, it's most likely a fake since no official seller can sell one below that price without losing money. Different facial expressions from original. 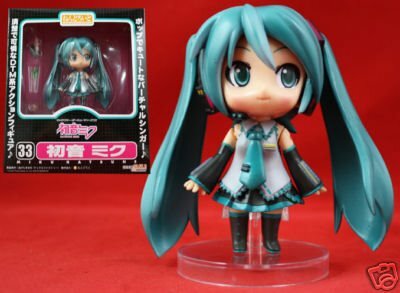 Miku Hatsune's smirk for example is different and less smiley on a fake one than on the real one. Other Nendoroids will be the same. Cheaper look to the figure. This is a given. Good Smile Company is one of those anime figure companies that usually make sure their final product matches the original image. In this industry, it is tough to do so but if you see a decent difference, you'll know there's something up. Fakes have been known to fall apart easier, also. Seller is from China or Hong Kong. Please note that anime figures both fake and real are made in China and not all China sellers are selling fakes, but sadly many are. Buying from a US seller? Make sure the Good Smile Company figures come from AAAanime.com, Mile-stone.jp or Diamond Comics. These are the official wholesalers of anime figures in the US and where I get mine from as well. 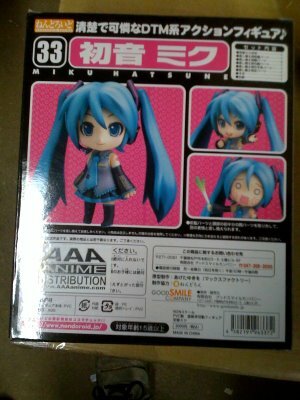 For Nendoroids, practically all come from AAAanime.com. Don't see a AAAanime sticker on the back of your Nendoroid box?...it might be a fake. Ask for a copy of the seller's Certificate of Authority. This is the identification all sellers need to proved they are verified by their state to sell products in a legit business or one that isn't an MLM (they have different forms of identification). 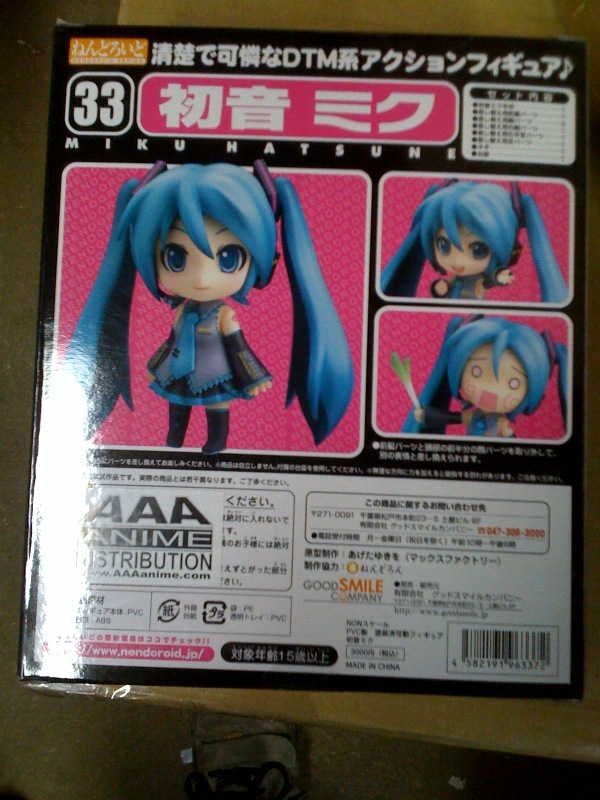 I have a copy for my anime store and Swaorvski figures selling. The seller should not show their ID number and other personal info that is on the form but their company name and the state they are locaed in is on the form. With one, I have to report sales tax to my state and my sales figures to both state and federal taxes. Sellers of fakes of course wish to bypass this responsibility and will buy cheap bootlegs from fake factories in China without the need to show any other identification, other than $$. Hope this bit of info helps in your shopping and I've also provided images of more-than-likely fake I spotted on eBay in the post. Please note, the name of the seller, if on the image, has been blocked out to prevent slandering and to not falsely accuse them since some sellers take images from others and might not be selling fakes but show fakes in their images...of course, the opposite maybe true too. Thanks! Awesome that you shared this. I only want the best when I buy.